Over 70 Airmen Reach CO Summit! The trip went great! We started out at 0500 with 22 people, active duty, retired, and cadets. 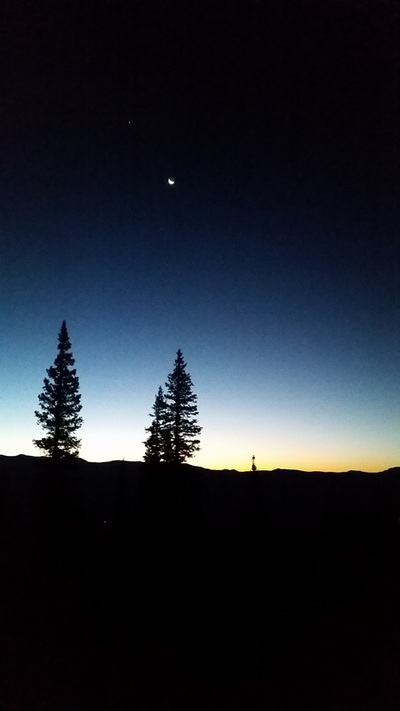 The morning was beautiful, a sliver of moon was just over the horizon when we set out and the stars were in full glory. After about 1.5 hours of hiking we broke out of the tree-line, just as the first licks of sunlight tickled the golden aspen trees on the slopes below us. 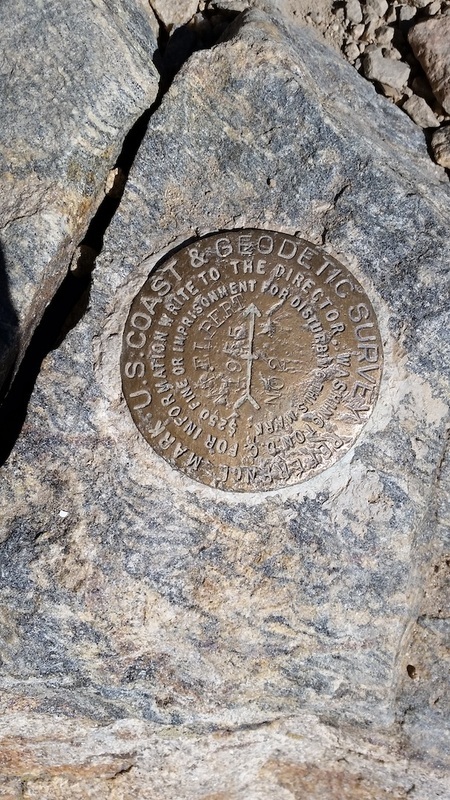 We pressed onward with over 2000 feet of scree-field above us. The false summit was breeched just over an hour later. This was the toughest point of the climb, well above 13,000', fatigued, and out of breath, seeing the actual summit still looming high above was a bit of a stab to the ego. Led to some great discussions about persevering through trials and setbacks! Everyone continued on, taking frequent mini breaks to catch our breath and take in the amazing view. The fastest reached the summit just after 0900, all 22 were on the summit by 1030! 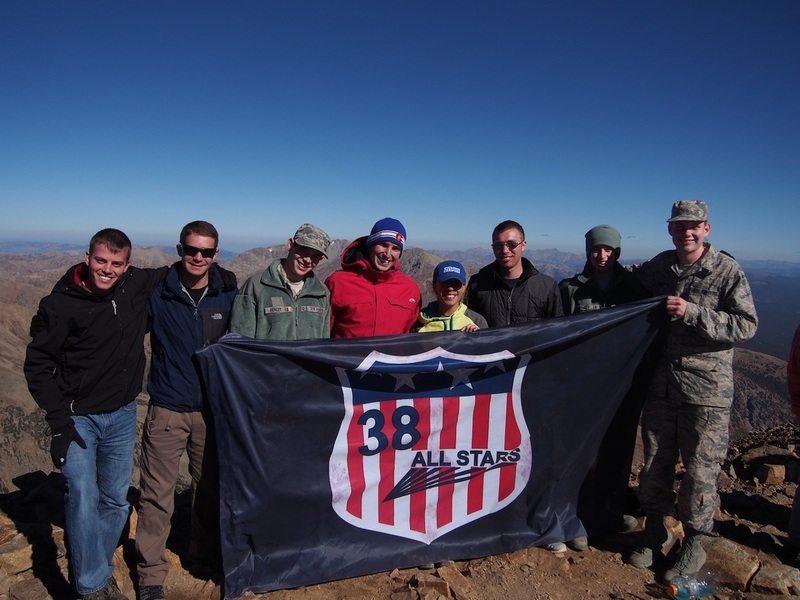 With all 22 team members on the summit we paused to take some pictures, do a few push ups, and comment on the amazing achievement. Reaching the summit was especially profound for several members of the team who (in reaching the summit) had just bagged their first 14er!! After pictures those who had been on top the longest set out for the journey home. As the last of us left the summit we had the opportunity to high five the first ascenders of the USAFA Men's Lacrosse Team. 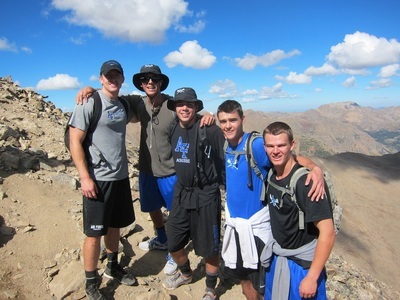 The team had set out a few hours after us, but were reaching the summit in record time! All 50 members of the team reached the summit as well and took their own round of photos with the same AF and American flags. 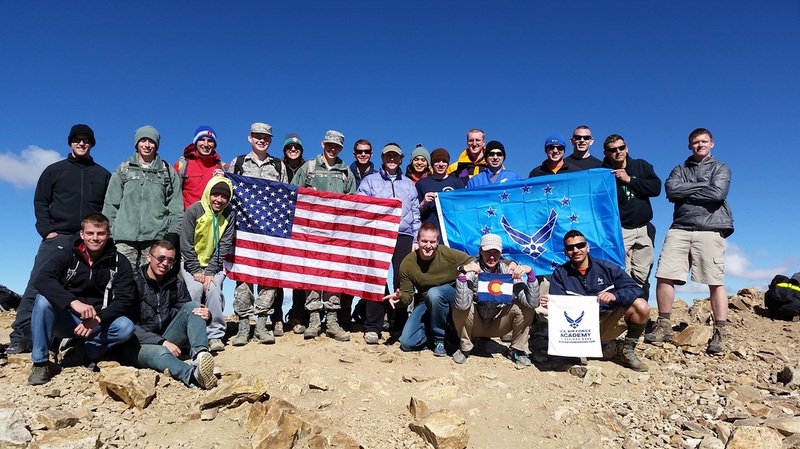 What an accomplishment to have more than 70 members of the Air Force standing at the highest point in Colorado, all in the same day! The members on the summit represented Active Duty, Reservists, Civilian, and Retired from Fairchild AFB, WA, Peterson AFB, Schriever AFB, and USAFA, Colorado! Mt Elbert climb is a GO!! Expecting mostly sunny weather with a chance of showers. 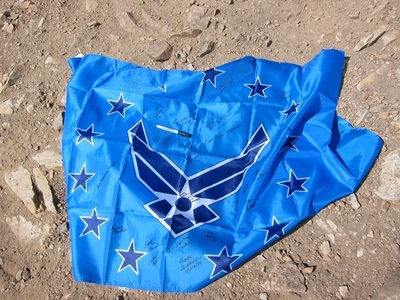 We plan to meet up at the North Route trailhead at 0445 for a 0500 departure. Information has been emailed to everyone we have on our list. Feel free to call Nichelle at 719-505-5066 if you didn't get the email. Most of us will be camping the night before near the trailhead. Elbert Creek Campground is right across from the trailhead, but Halfmoon Creek Campground is another nearby option. This is not a technical climb, so gear required is minimal. Be prepared for sun (sunscreen, etc) and/or rain and chilly temps at the summit (hat/gloves). Dress in layers and bring plenty of water and snacks/lunch for the trail. There will be an informational meeting on Tuesday, 9 Sept, 1930 at the Sport Climbing Center of Colorado Springs (4642 Northpark Dr. Colorado Springs, CO 80918). We will discuss logistics including route, timing, weather, gear requirements, etc. All abilities are welcome, so come on down and decide if this is something you'd like to be a part of! The plan is to climb the NorthEast Ridge Route. This is the most common route used to hike Mt. Elbert. 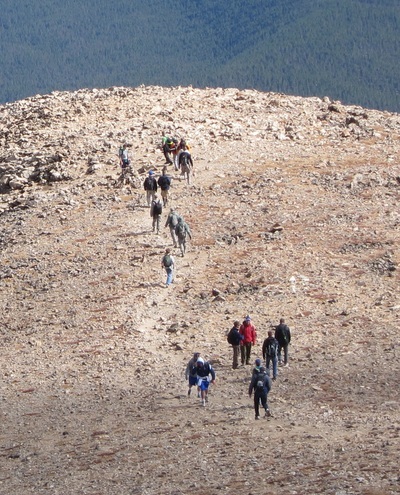 The route is about 9 miles round trip and gains about 4,700' altitude. We plan to meet up at the trailhead at about 0430 for a 0500 departure. Because of the early departure camping near the trailhead is recommended. The route is not technical, all that is required gear-wise is a good pair of shoes/hiking boots, layered clothing including a jacket, sunscreen, snacks for the trail, and plenty of water! Saturday, 20 September is the climb! Stay tuned for more information about the link up point, gear list, weather, and more!